This large-scale international hockey gathering turned most important and expected professional event for hockey community. Two workdays of the WHF saw participation of 870 delegates from different countries covered by over 150 media people. International Ice Hockey Federation (IIHF). On behalf of the Board of the Russian Ice Hockey Federation, I am pleased to welcome all the participants of the Third World Hockey Forum! 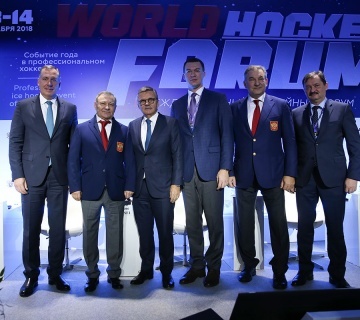 It may safely be said that the World Hockey Forum, being held in Moscow for the third time, has become one of the most remarkable world hockey events. The Forum attracts leading hockey experts from all over the World to the Russian capital while being one of the most unique discussion platforms our professional community needs. One of the priorities of the Forum is to show a variety of many different opinions on the most relevant issues in the field of ice hockey. This is an excellent chance to discuss ways of the ice hockey development in today's competitive environment. One cannot talk about the future of the ice hockey and ignore modern ways of young hockey players development. Present Forum provides us with an opportunity to have a more detailed discussion of all aspects of this matter and analyze the already existing national training programmes. 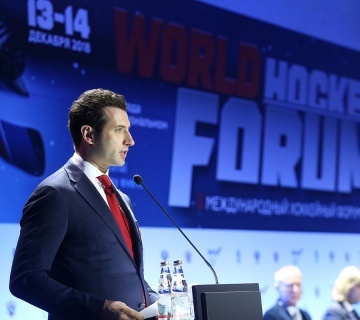 The agenda of the Third World Hockey Forum provides a substantive and interesting dialogue. I am certain that the forthcoming discussion will bevery productive and helpful for the future of the ice hockey. 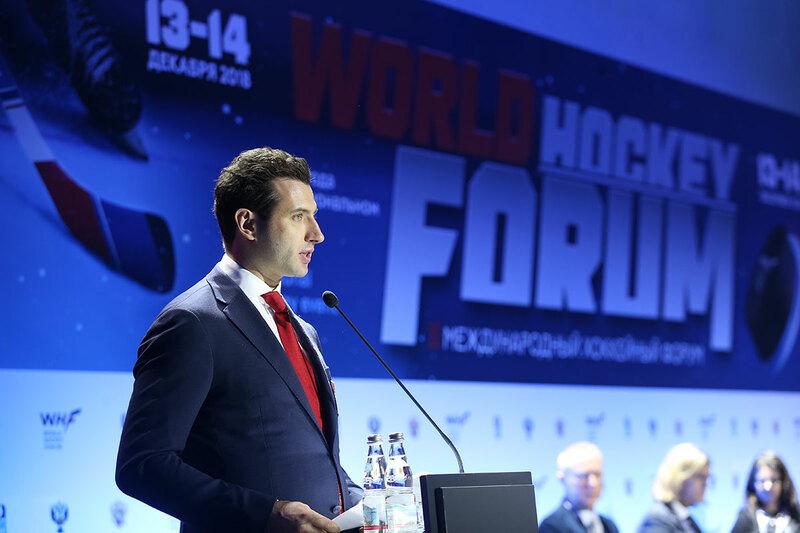 I am happy to acknowledge that the World Hockey Forum has become a regular and important event in the life of the global hockey community and I congratulate all of us most sincerely on account of this achievement. 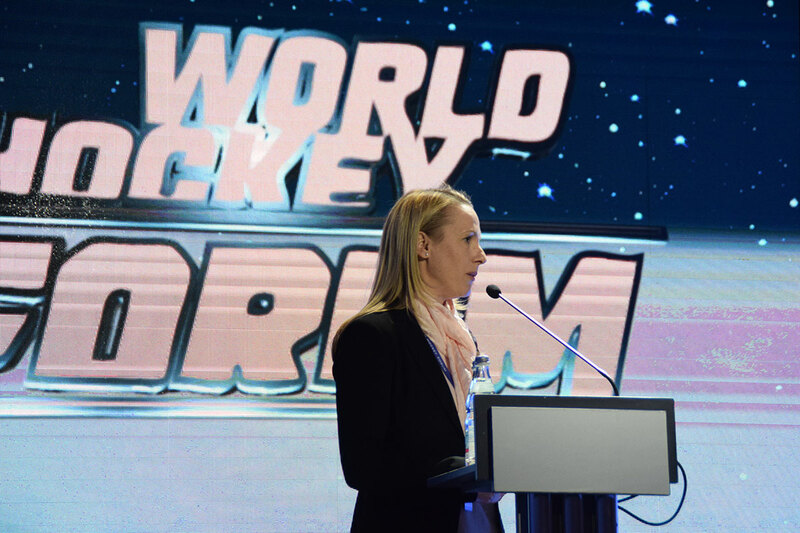 This year, the World Hockey Forum will be taking place for a third time. Today, it is evident that the proposal of the Russian Ice Hockey Federation to organize and hold this event and under the assistance of the International Ice Hockey Federation was a timely and productive initiative. Hockey is a game that is both popular and diverse. Its effective development depends on a number of different factors. Naturally, it is impossible for us to resolve all the problems of our most favourite sport in one fell swoop. They require ongoing painstaking work a significant part of which entails looking for coordinated decisions and negotiating a common professional position on relevant issues. 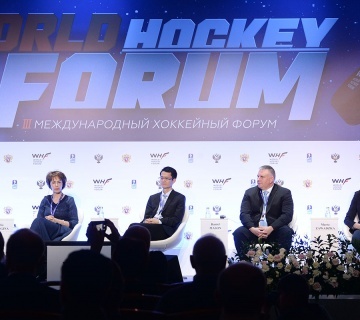 In this connection, the importance of the World Hockey Forum can hardly be overestimated. This important forum determines the agenda for the upcoming hockey year and sets the tone for a professional conversation among sports practitioners, coaches, athletes, experts and sports executives. Only this kind of constructive approach is capable of ensuring ice hockey’s harmonious and comprehensive development in the complex conditions of today’s competitive environment. Special thanks are due to the city of Moscow for its most cordial hospitality! I wish you all mutual understanding and fruitful collaboration and I will see you all at the Third World Hockey Forum! 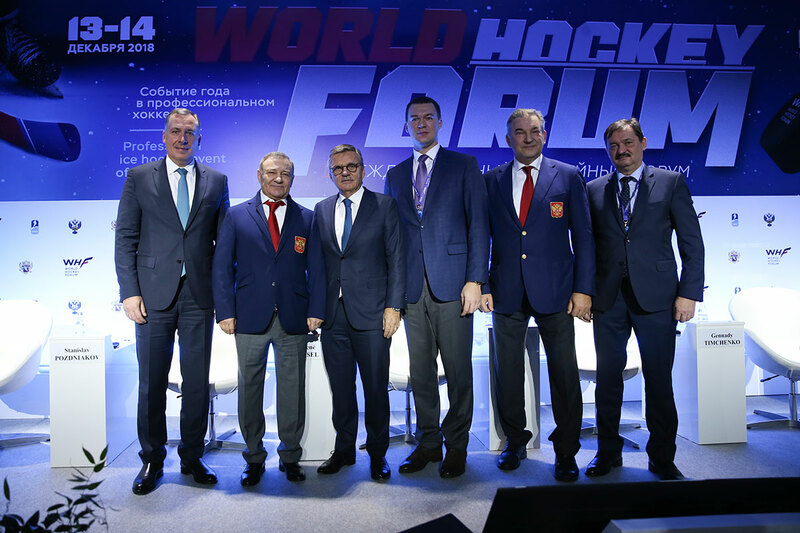 The World Hockey Forum is not only one of the most important professional events in the world of hockey, but it also is an illustration of the hockey family’s unity. It is for a third time now that Moscow is getting ready to welcome some of the world leading specialists, legendary players, coaches, experts and researchers in the field of hockey. The previous two hockey forums have demonstrated that we are prepared to share our experiences and that we are willing to listen to and to hear each other because we have one common desire – to promote our sport, to make it more popular and to expand its span across the world. In order to meet these expectations, hockey requires a balanced development strategy. Its success will largely depend on the approach we choose to address the issue of training of athletes. We are happy to see that our foreign colleagues understand these important issues and that they are prepared to discuss them further. 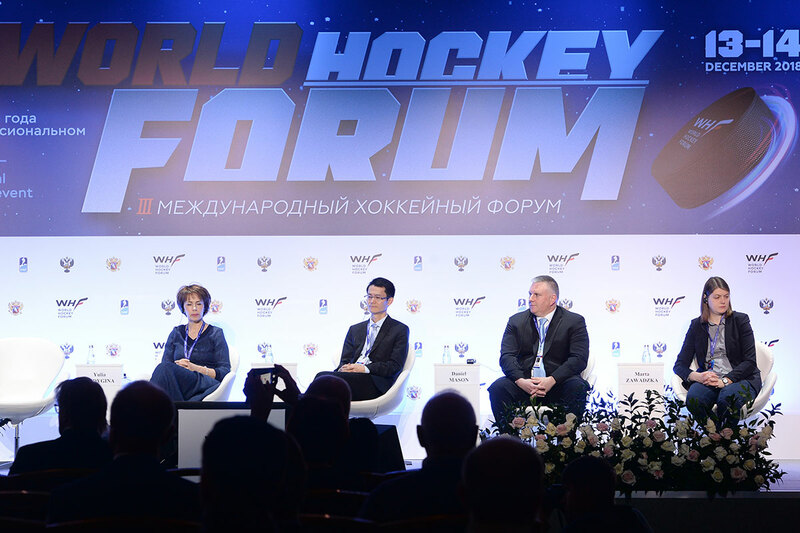 No doubt, we are proud that the World Hockey Forum has become a regular event in the Russian capital – it is hard to overestimate the importance of hockey for our country and the love Russian people have always had for ice hockey. This is why it is so important for us to make sure that our most favourite sport continues to grow, evolve, and compete successfully on the modern arena. On behalf of the Ministry of Sports of the Russian Federation and on my own behalf I welcome the participants, organizers and guests of the Third “World Hockey Forum” in Moscow! Over the past two years, the Forum has proven its professional worth and established itself as one of the most influential annual events in the hockey world. The forum brings together hockey experts, people of a like mind who are ready to face-up all arising contradictions to ensure ongoing development of our beloved sport. The lessons learned from our prior experience in discussing topical issues within the “World Hockey Forum” allowed us to put together a very specific business programme this year. The best practices in training young athletes, analysis of different national hockey players training programmes and creation of successful hockey brands – these are the primary areas that determine the potential of hockey as a sport, as well as an industry. 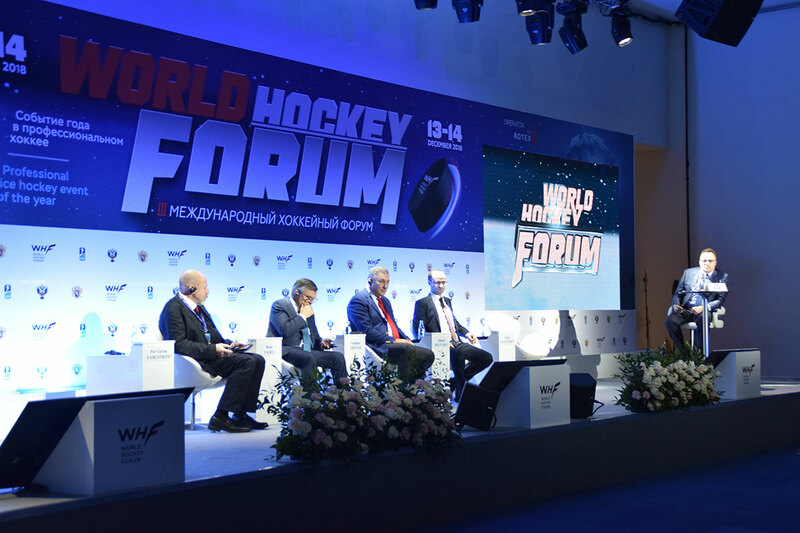 I am certain that the Third “World Hockey Forum” will give you an opportunity to take part in an open, interesting and productive dialogue. May the participants, guests and organizers of the Third “World Hockey Forum” enjoy effective work and implement all their initiatives designed to facilitate an ongoing development of the global hockey movement.